Today was the first day of our huge rainstorm, which is supposed to last maybe three more days. ☔ Our house is not in any danger from flooding, but there are some parts of town that are near the river and those get so much water that they overflow the banks. It’s really dangerous and there are often reports of people getting swept away as they try to cross through the water in their cars. Even though we have the saying “Turn around, don’t drown” some people think they can make it and just try anyways. I stayed in the house today and actually had a task to do: file our 2015 taxes. Like many other people, I use TurboTax to do our taxes, and after several years of doing it, it has become pretty quick and easy. The main thing is that you need to just keep all your tax documents in one place as they come in during the year. 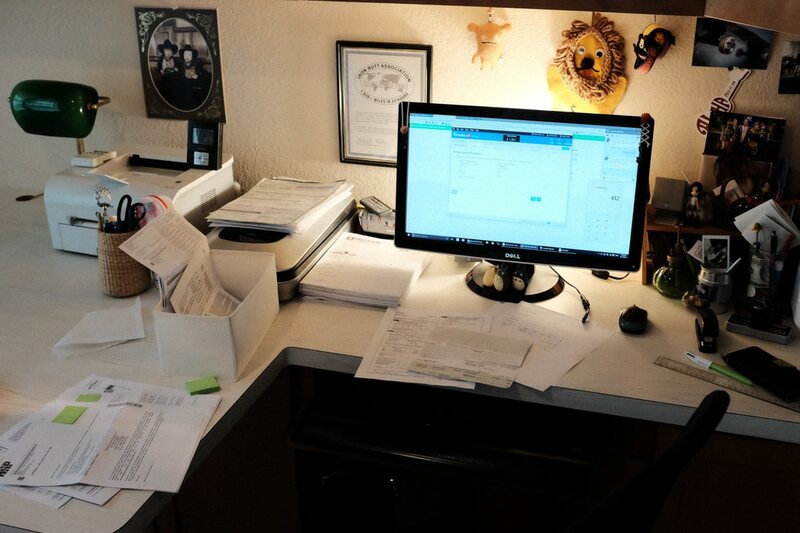 I have a box that I put all the documents, and when I receive an email saying I have tax documents online, I will print those out immediately and put them in the box. Then, when I finally get down to doing the taxes, it’s all there! I remember several years ago, I had so much trouble figuring out where everything was, but now it is a breeze. I think the software has gotten a lot better with each year so that is a huge help! While I was working and looking for a folder to archive all the documents, I found a clear file that has all the stickers I have collected over the years. I forgot about one sticker that I bought in Japan a few years ago… it’s a cat with a camera! It actually says “Neko camera” (neko means cat). So I put it on my Chromebook. 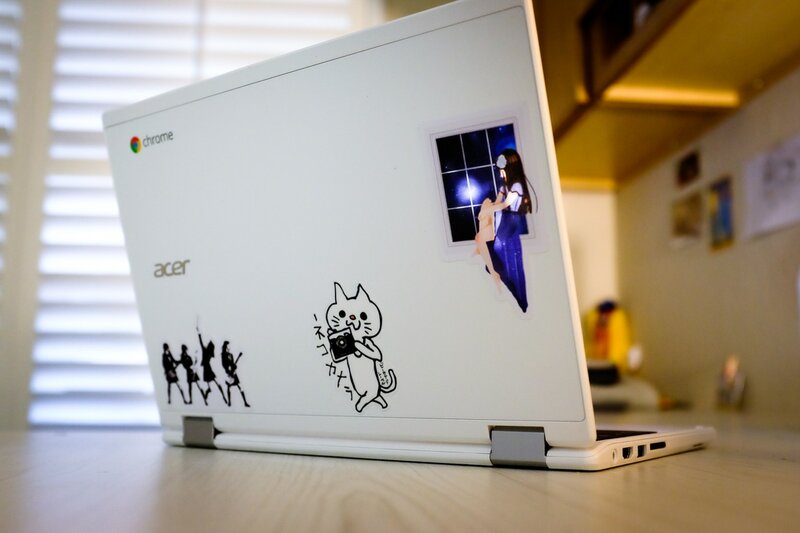 I now have 5 stickers on it… SCANDAL, Neko Camera, Momusu, K-on!, and a KTUH sticker that my brother sent me. I’m still enjoying using the Chromebook for my blogging… I am typing this (and pretty much all my posts) using it. Well, it’s getting late so I am going to read a bit, then sleep. Let’s have a good week!